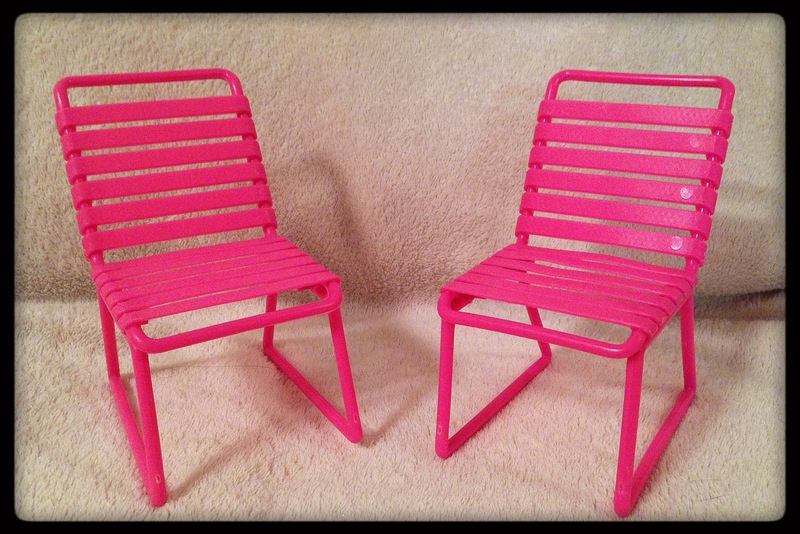 Fun Furniture Finds | Barbie Who? Last weekend was certifiably awesome. 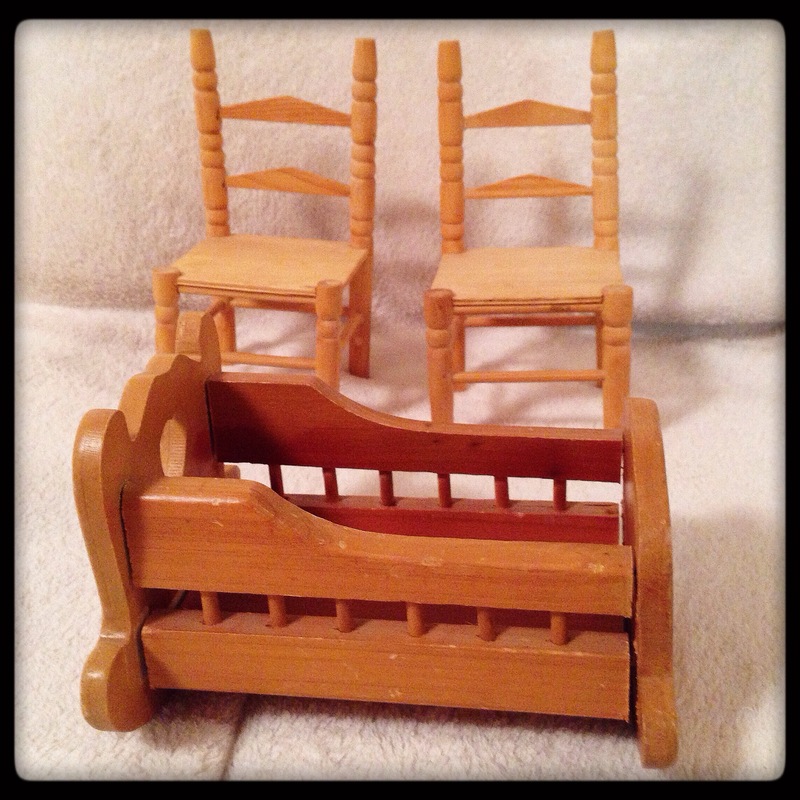 I went to a thrift store with the family and we found some amazing Barbie furniture. The best part? All together, they cost less than $1. Yes, you read the correctly. That store sells all toys for $0.25 each, and everything is half off during happy hour. The six pieces I purchased only cost $0.75 – I absolutely adore that thrift store! First off, we have some cool wooden pieces. The chairs are lovely and the legs on them are sturdy. The crib is a bit large, but I couldn’t break up the set. They’re all unfinished, so I may stain or paint them at some point in the future. They have great potential; I can’t wait to see what the future holds for them. 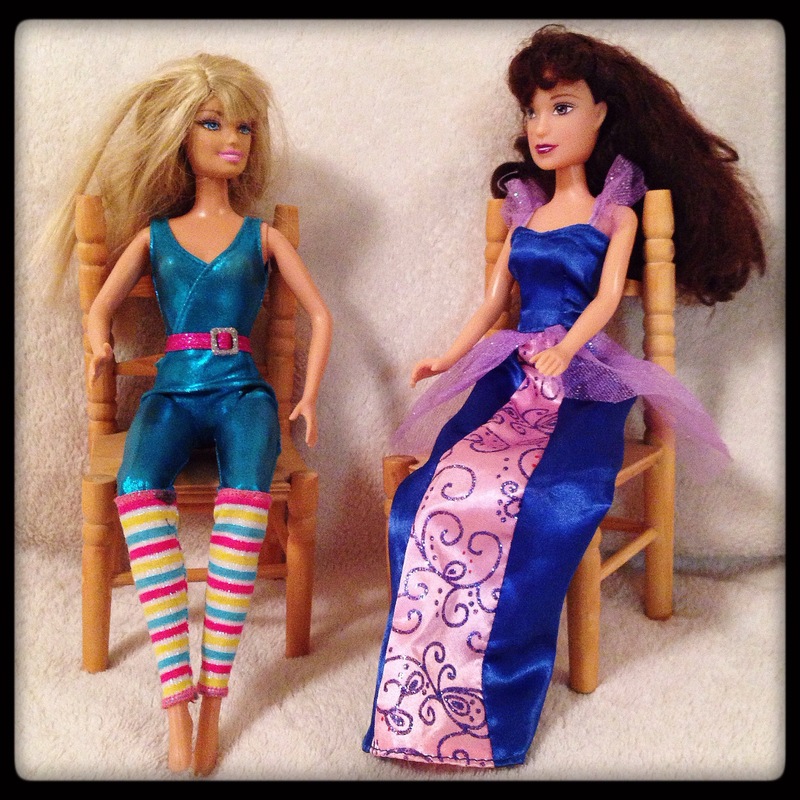 Barbie and Meg (she reminds me of Megara from the Disney Hercules movie even though she is not a Disney or Mattel doll) look much more comfortable in the chairs than they did before. I’m sure I’ll be able to work them into the project. Perhaps I can paint them to match the palace in The Girl in the Fireplace and use them as accessories. I could also create a table and use them as-is for the dinner scene in The Empty Child. There are countless possibilities, so we’ll see which pops up first. 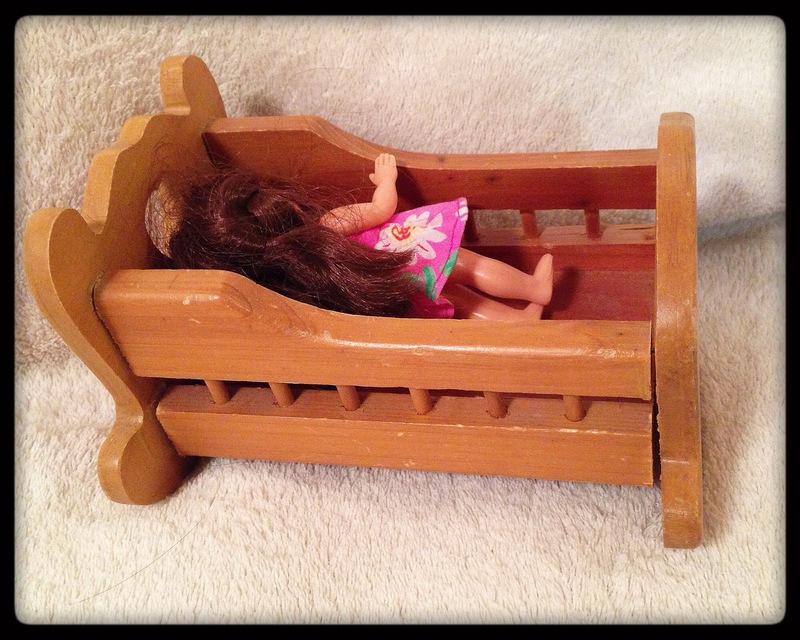 The little toddler dolls fit in the cradle. I think I’ll let my kiddo play with it because it is so oversized. I’m not sure that I’ll be able to work it into any Barbie Who? pictures because it isn’t on scale. Next we have a sweet pair of patio/poolside chairs. They were finicky to put together, but I think they’re adorable. They look like the chairs from the Beach Blast Pool and Patio set that came out in 1986, but it may have been from a more recent patio set that didn’t pop up on Google. The chairs are the perfect place for the dolls to hang out and relax. See? 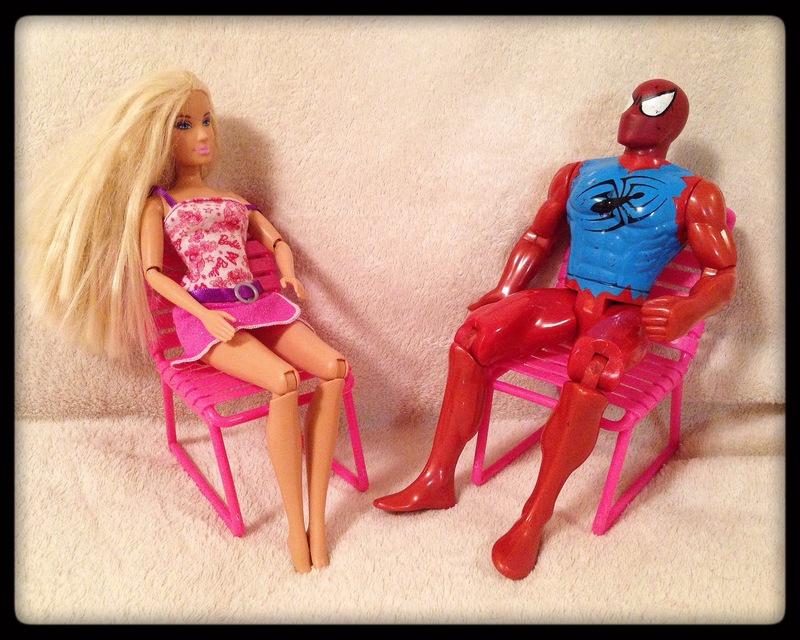 They really set the mood for a casual date between the Fashionista and Arachnid Guy. The last find is my hands-down favorite; it is awesome in every sense of the word. 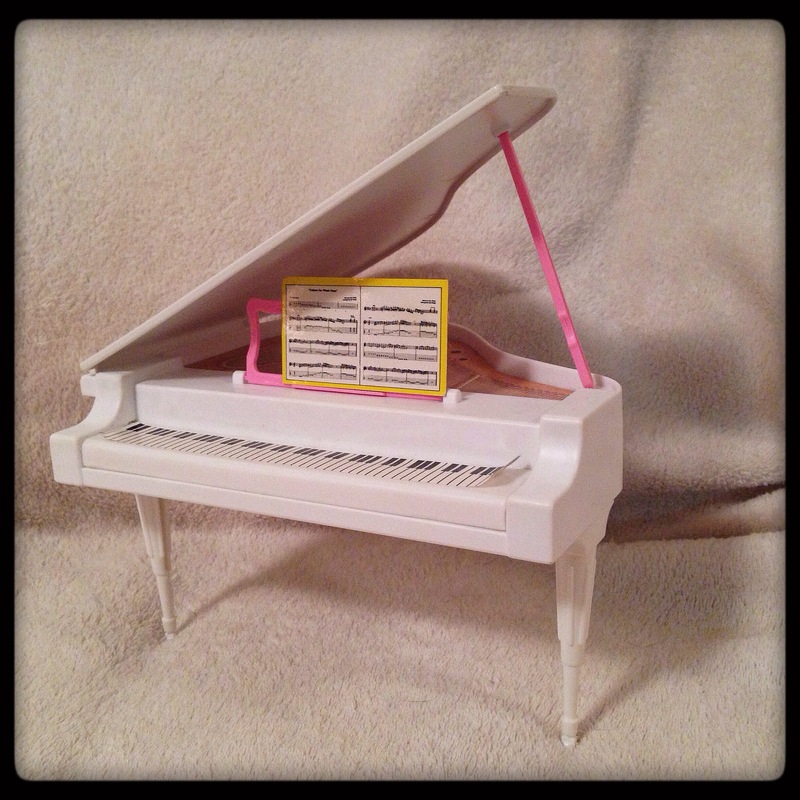 It is a white baby grand piano. I love this thing! It has cool stickers and a wonderful look. It doesn’t have a bench or chair, but I can figure something out for it later on. Right now, I’m just ecstatic to add it to the collection. I can see it being used as an accessory to dolls I make for The Girl in the Fireplace. Even if I don’t use it for the project, I’m sure the kiddo will enjoy it. That wraps up my shopping finds for today! No dolls, but that is probably a good thing. I have quite a few ideas for the dolls I currently own. Right now, I am working on Cofelia’s hair but life keeps getting in the way. I hope to have her hair finished by the end of the week. Fingers crossed that I make this deadline. Awesome! I would love to see what you do for The Girl in the Fireplace, one of my favorite episodes! I want to do Madame de Pompadour because I LOVE every dress she wears in that episode. I also want to do a clockwork android. I think it will be at the top of my list once the new year starts. The holidays are driving me crazy and I need more concentration for such intricate dresses.